I was hoping my kid would be good at math. We need someone in this family who can calculate a tip without taking off her socks. That dream is dead. I’m not one to brag (unless it’s about my perfectly arched eyebrows) but my baby is an artistic genius. It will remind her to never take herself too seriously—even when she’s almost 40 and a 12 year-old points out a gray hair…on her chin! It will teach her to identify a douchebag no matter how many times he texts her the smiley face Emoji with the heart-shaped eyes. 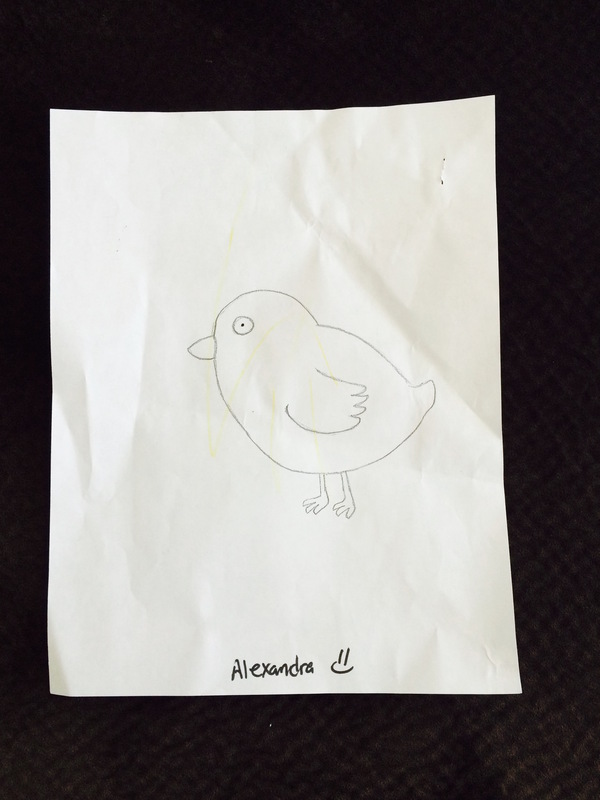 So how do I know that a simple drawing of a chicken will do all that? Because I’ve read enough Deepak Chopra quotes on Instagram to know that good self-esteem is the key to success (and your own line of self-help books). 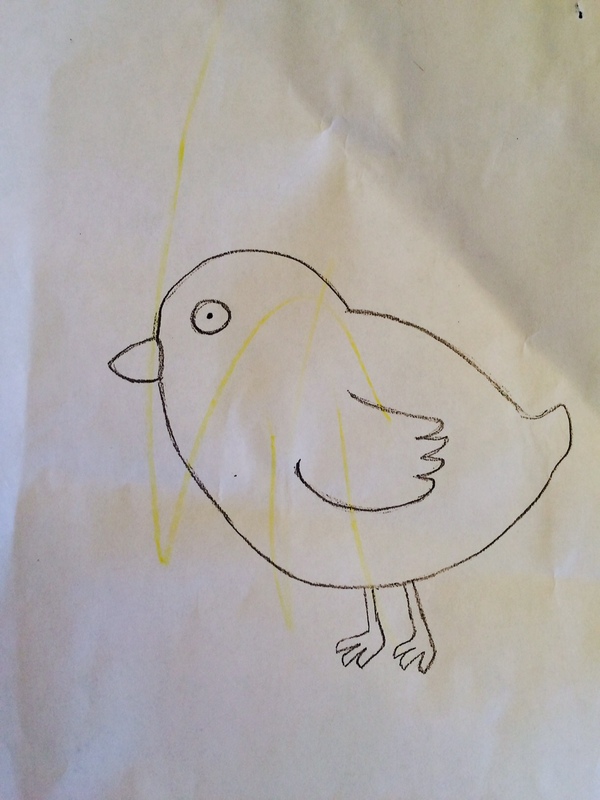 And to me, it all starts the moment your baby scribbles a few barely visible yellow lines on a pencil drawing of a chicken. So as far as I’m concerned she’s a creative genius. Unless, of course, those scribbles are in permanent marker on my freshly painted walls—then she’s just a jerk.